KGI Securities analyst Ming-Chi Kuo thinks Apple has a major redesign in store for this fall's iPhone 7. He thinks the next iPhone will sport a bigger and rounded display, and that it'll have a rounded glass back, too. 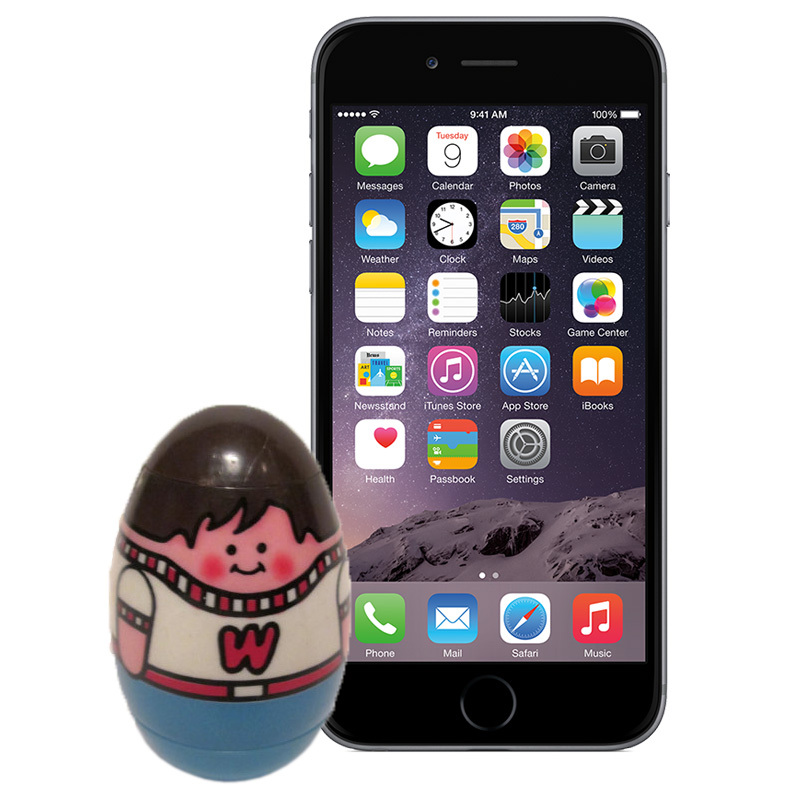 Like Weebles, your next iPhone may wobble, but it won't fall down. According to the report, Apple will be drawing inspiration from the iPhone 4s glass front and back with metal side band design, but instead of flat glass surfaces the new model will use curved glass. The iPhone 7 will be available with a 4.7-inch display, just like the iPhone 6 and iPhone 6s, but the iPhone 7 Plus will increase from 5.5-inches to 5.8-inches. "We expect the 2017 new iPhone model to adopt a structural design similar to that of iPhone 4/4s, meaning it will be equipped with glass on both the front and back sides, and a metal frame surrounded the edges," he said. "The difference is that the new model will likely come with a curved screen and curved glass casing, with other important features including a 5.8-inch AMOLED display, wireless charging, and more biometric recognitions (facial or iris)." A dramatic redesign fits with Apple's typical two-year cycle, and reports of a transition to OLED displays have been floating around for a few years which makes AMOLED a reasonable possibility. The new display technology will, however, be used only in the larger screen iPhone 7 Plus while the iPhone 7 will stick with LCD technology. Assuming AMOLED displays are available in large enough quantities, Ming-Chi Kuo thinks Apple will stick with its current two phone lineup. If not, he thinks Apple will use LCD displays for the iPhone 7 and iPhone 7 Plus, and add a third model with a 5.8-inch AMOLED display. Adding yet another screen size to the iPhone line is possible, but it doesn't feel like Apple's style. Three sizes has been the company's limit so far with both the iPhone and iPad, and adding a fourth to the iPhone could confusing for customers. What seems more likely is that Apple would simply ditch the 5.5-inch screen size for the 5.8-inch version. Apple tried out the curved back design with the iPhone 3G and 3GS in 2008 and 2009. The curve won't likely be very pronounced because a phone that wobbles when laying flat on a desk doesn't sound like a great design idea. Instead, we'll likely see a more subtle curve in the glass designed to feel more comfortable and natural in your hand. Interestingly, the curved design doesn't fit with other rumors and reports claiming the iPhone 7 will look very much like the iPhone 6s, complete with flat metal back. Since the new iPhone will probably ship in September, we still have a few more months to stumble on leaked images for a better idea of what to expect.